High quality muscle & weight gain formula. 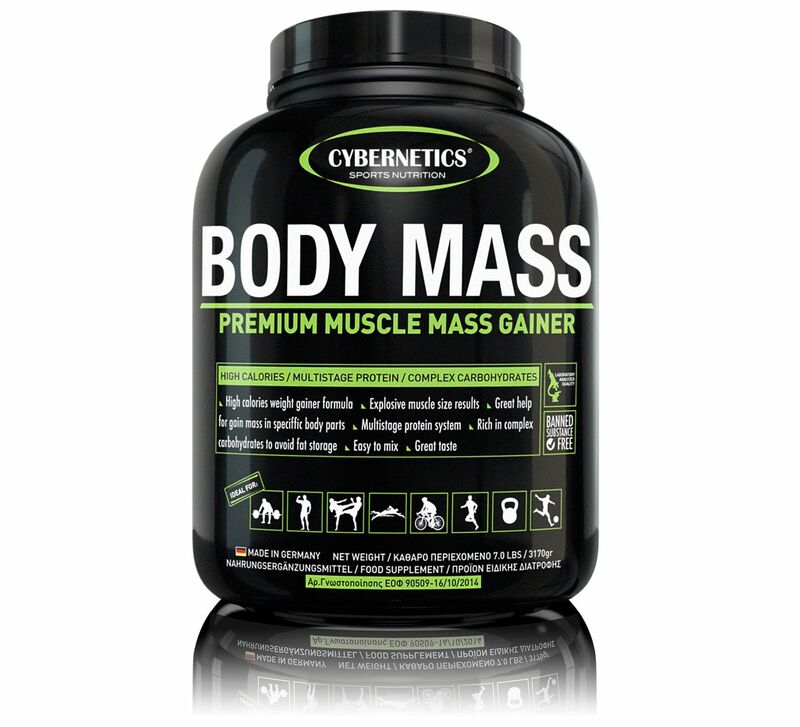 BODY MASS contains Cybernetics' unique formula with a precise ratio of high quality carbs and proteins (3:1). With a total fat content lower than 2 grams per dose (yes you read that right! ), the calories consumed via BODY MASS are exclusively used by the body for mass gain. BODY MASS contains high quality protein that originates from 3 different sources: whey, micellar casein and whey protein concentrate (WPC). This particular combination allows the body to have protein availability for 24hrs (!!!) and its exceptionally high content in BCAAs makes it the perfect choice for use pre-workout as well as immediately post-workout. The combination of simple and complex carbohydrates provides extended energy supply during the day as well as fast glycogen store replenishment immediately post-workout. This way, muscle catabolism is prevented and constant muscle hypertrophy is achieved, a fact that is particularly important for every athlete or fitness fan. The Recommended Daily Allowance (RDA) is 2 scoops (approx 100 grams) mixed with 600ml of milk or 500ml of water. Prepare your drink using a shaker or a blender. You may consume 1 to 2 doses a day (as breakfast, between meals, pre- and post-workout, at bedtime). Do not exceed recommended dosage. 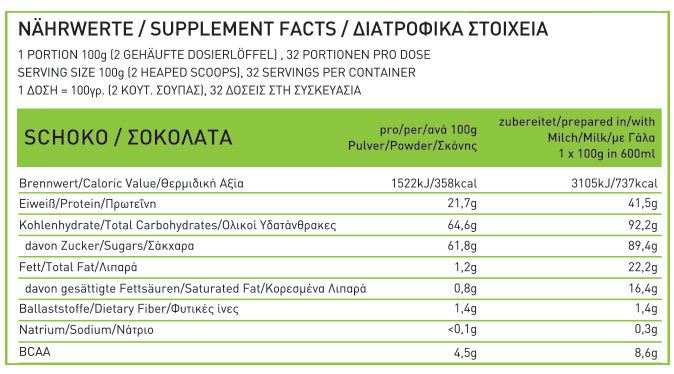 This product is intended as a dietary supplement and not as a whole food of an exclusive diet or for bodyweight control.